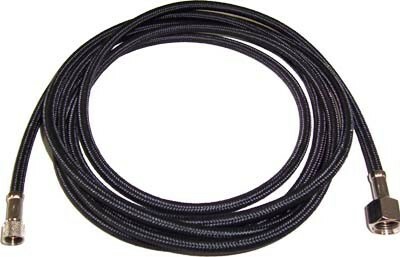 Hose set, straight 3mtr black braided, 1/8" x 1/8" end couplings. Also fits Iwata and Olympus. See adaptors in this category for Badger and Paasche. This is not a plastic hose.. This product was added to our catalog on 03/12/2008.